There is a lot of confusion out there about which Nigerian meals are healthy to eat, and which ones are unhealthy and causes weight gain. So pay attention to this, especially if you are a Nigerian and want to know which meals to avoid eating when trying to lose weight. This is because I am about to share with the 3 common Nigerian foods that are generally unhealthy and causes weight gain. If you are currently on a weight loss journey, or you want to burn fat and drop 2-3 dress sizes and get a flatter belly, then you need to avoid the below Nigerian foods completely. Eating just 1 – 2 slices of yam is fine. You are basically eating a meal that is very high in carb and contains lots of calories. An average amount of calories in a big plate of pounded yam with the Egusi stew and different “add ons” could rise up to 1,000 calories. And not to forget that the average person washes such meal down with a bottle of sugary drinks such as coke or Fanta. 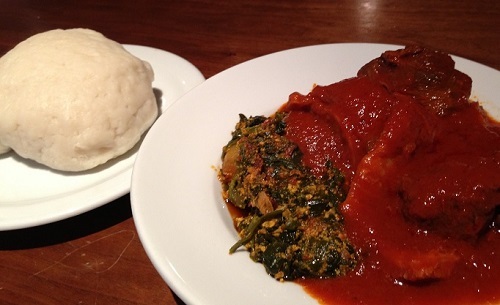 Pounded yam is high carb food, and if you are trying to lose weight, it should be on your list of food that you should avoid in others to slim down. When you consume sugary drinks, your brain will not register it as REAL food. Which in turn will make you become hungry again after the first five minutes of drinking it. This can make you drink too much of it without understanding how it makes you gain weight. What about your drinks. If you don’t eat, what do you drink? Usually, it comes to light that 9 out of ten times, they’ve been taking drinks laden with sugar. I am talking about soft drinks such as e.g. coke, fanta, bitter lemon etc. I want you to take a look at the below picture. 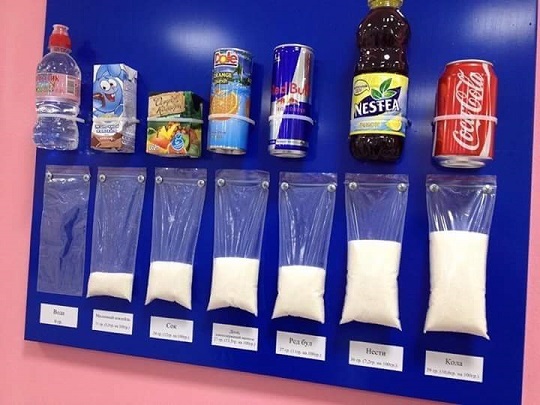 The white substance in the bag represent how much sugar is inside of each drink. And you can see that “Red Bull; which is an energy drink and Coke which are both popular in Nigeria contain a high level of sugar. Most of these processed soft drinks contain an average of 6-8 teaspoon of sugar in them. And the sugar in those drinks, can make you fat, because when they get broken down into energy that your body use and when the amount of sugar your body gets is more than what it uses…. The rest of the broken down sugar then gets transported to your fat storage cells and stored in there in the form of fat around your tummy and arms and thighs. If you drink a lot of soft drinks, you need to stop in other to be able to lose weight easily. Instead, click here to sign up for my free fat loss coaching that will help you shed off the unwanted fat. Learn how to drop down 2-3 dress sizes and burn off belly fat Easily so you can get a figure 8 toned body Using Just Nigerian Meals Only. One of the most popular junk foods in Nigeria that we eat are in the form of pastries. 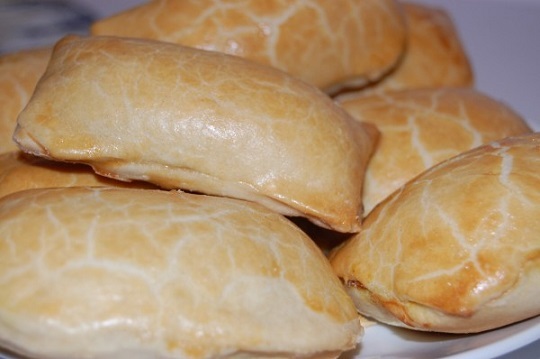 Cake, Chocolate, Chin Chin, Puff puff, meat pie and Gala and white bread are very popular. Most of these pastries are very unhealthy and are made with highly refinded wheat flour and sugar. And the truth is that they are fattening. This means if you eat them too much, you will gain a lot of weight. And if you are currently “big sized”, and you continue to eat this, you will not lose weight. However if you want to lose weight, you need to change your diet. You need to change what you are eating and switch it for meals that you can eat that will help you burn fat naturally. You can sign up for my FREE fat loss coaching here today where I coach you exactly on how you can lose weight by eating this fat burning Nigerian meals. If you sign up, I’ll tell you the alternative meals you can eat in replacement for the 3 fatty foods above. Have any comments? Feel free to leave them in the comment section below.